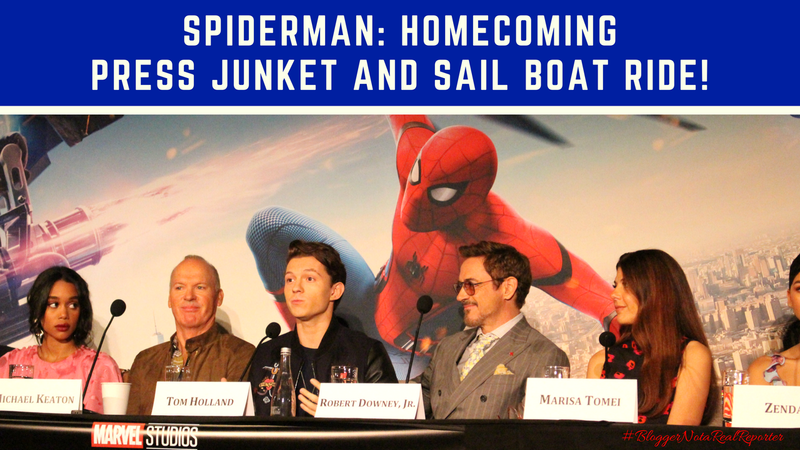 Classic Harbor Line - NYC Review by Shirley Martinez | Spiderman: Homecoming Press Junket and Sail Boat Ride! First, I LOVE Robert Downey Jr. Making eye contact with him while he was about 2ft. away from me may have been the highlight of my morning. Thank goodness for my perfectly custom made eshakti dress! Anywho... after grabbing some breakfast, "Falling off the side of a building", Checking out new Dell Computers, playing the new Spiderman virtual reality game, and seeing the new Spiderman toys from Hasbro, it was time to grab our seats and wait for the stars to head to the stage. 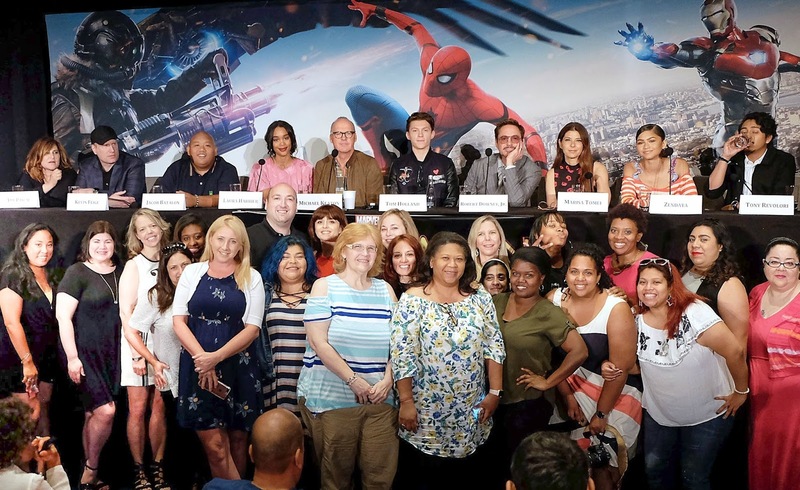 In the press line up were Amy Pascal, Kevin Feige, Jacob Batalon, Laura Harrier, Michael Keaton, Tom Holland, Robert Downey Jr., Marisa Tomei, Zendaya, Tony Revolori, and John Watts! Many of the media personnel got to check out Spiderman: Homecoming the night prior to the junket so we had time to come up with some questions that we are certain other fans wanted to know the answer to. I must say that this Spiderman film was so amazing due to the fact that Tom Holland plays the version of Spiderman that we grew up watching on Television or reading in Comic Books. He's Spunky, Silly, Awkward and just overall hilarious! I'll be sure to edit some video of the Q&A for our youtube channel, but in the meantime, you can check out one question I was able to ask down below. Me: This Question is for Tom Holland and Robert Downey Jr. How would you say that the relationship between Spiderman and Tony Stark has evolved since that of Civil War? Tom Holland: I think the relationship between the two of us is more interesting from your (Robert's) point of view because you suddenly have someone else to think about other than Tony Stark. He really cares about Peter and one of the reasons why he doesn't really want Peter to become an Avenger is because he doesn't want the responsibility of something happening to Peter on his conscious. So it's a nice back and forth of me saying "Look, I'm powerful enough to be an Avenger" and Tony saying "but, You're not ready to be an Avenger". It's a Nice Back and Forth, sort of like a Big Brother Little Brother, Father-Son type of thing. After the full Junket Q&A, Bloggers were directed to a charter bus that would take us on our next adventure which was the Goodwill® store. Why Goodwill® you ask? Well, they've partners with Spiderman to create an amazing Super Hero challenge where we create our own superhero costumes using things from Goodwill®. 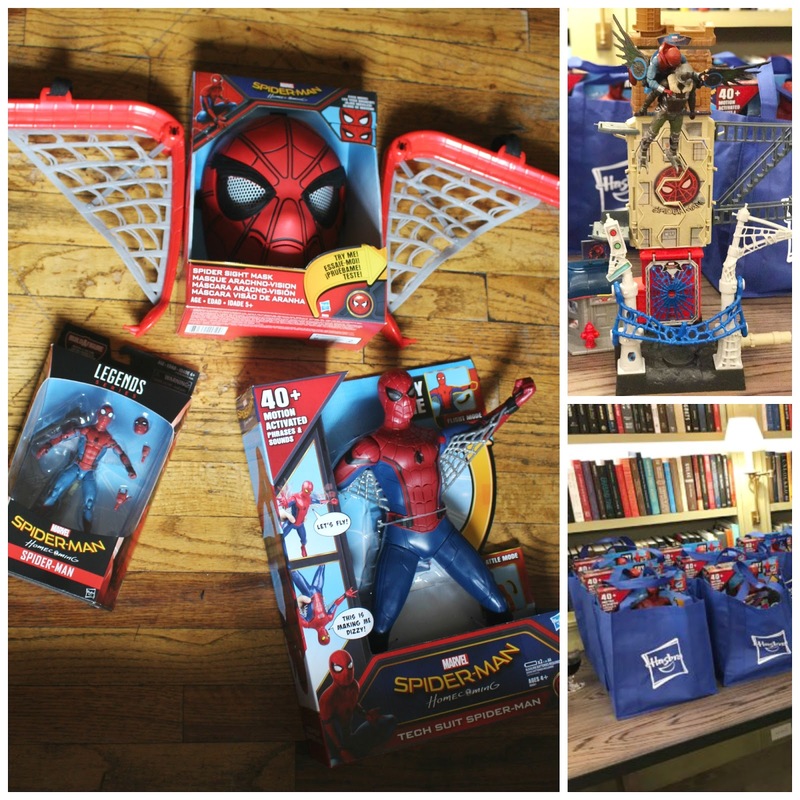 Spider-Man and Goodwill® both care about our planet. By collecting and selling donated goods, Goodwill diverts more than 3 billion pounds of clothing and textiles from landfills each year. 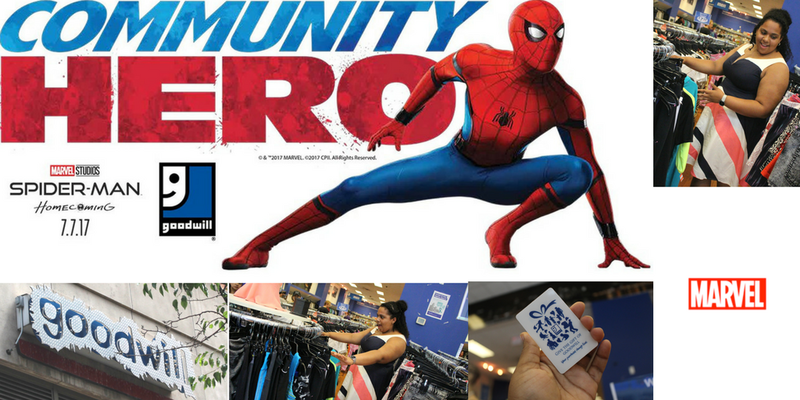 By purchasing items for our Spidey suits from Goodwill, creators will play their own part in this massive environmental effort. Every little bit counts. Next was Sailing on the Hudson River. We headed to Chelsea Piers where we headed to the Classic Harbor Line Dock to get on our awaited Sailboat. 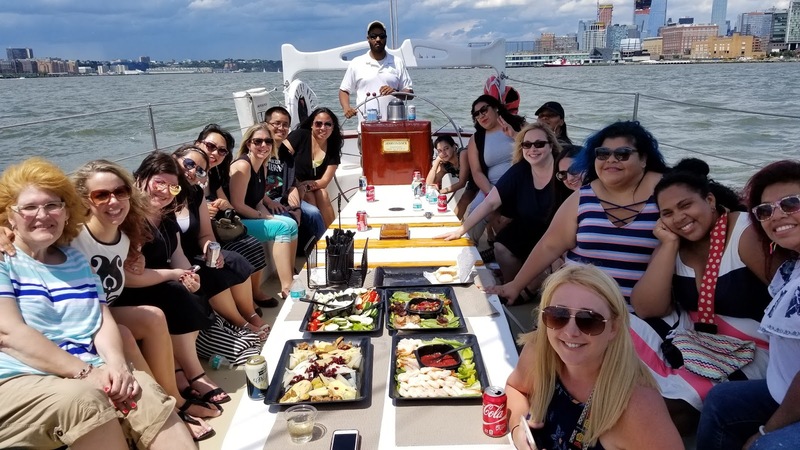 We were treated to drinks and a few bites while we sailed around the Harbor checking out Lower Manhattan, Jersey City, and even the spot where a specific Staten Island Ferry scene happened! It was a thrill, but I TOTALLY regret leaving my sunglasses at home. My eyes were pretty much squinted the whole time. Overall, This Junket was truly AMAZING! I'd say this was one of the big ones and I'm so Happy we got to be a part of it. Be on the look out for more Spidey Related posts that I'll be posting up this week and Go see the film! Visiting NYC? Discover Classic Harbor Cruise Line! Statue & Skyline Cruise $10 OFF Tickets !!! Classic Harbor Line Review and #ToddlerFashion 9/3!